When it comes to obesity there is a ton of information floating around. Some of it is accurate and some of it is completely inaccurate. My goal with this article is to help you understand some of the facts and myths associated with obesity. Fact – Yes, physical activity and eating habits do play a huge role in whether or not someone becomes obese. However, these behavioral issues aren’t the only things that can lead to obesity. There are a lot of other elements that can also lead to obesity. For instance, if you have a family history of obesity you are more likely to be obese. If you have a hormone disorder such as a thyroid issue it puts you at risk for obesity. Sometimes weight loss management isn’t enough. You may also need medical intervention. 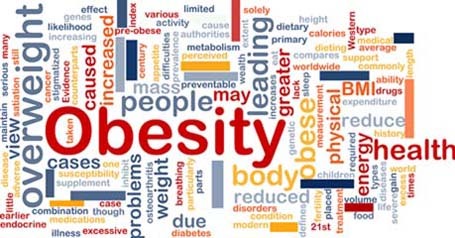 Fact – In regions of economic prosperity the obesity rates can be as high as those in industrialized countries. The interesting thing is you will find cases of obesity even in developing countries where malnutrition is high. Many researchers believe this is due to the changes in society. Now more food is available which means people are eating more. So obesity isn’t just a problem in one part of the world. It is a problem all over the world. Fact – There is no doubt your metabolism will change as you get older. As a result you may gain a little weight. That’s perfectly normal. However, if you put on more than 20 pounds that is not normal and will increase your chances of getting an obesity related disease. A study published by the U.S. Surgeon General showed women who gain more than 20 pounds between the age of 18 and their mid-forties are at higher risk of developing post-menopausal breast cancer. So while gaining some weight is a natural part of aging, gaining too much can be very dangerous. Fact – As far as the development of osteoarthritis is concerned timing is not a big factor. As a matter of fact, for every two pounds you gain your risk of developing arthritis only increases by about 13 percent. If you are obese and looking to lose weight please avoid fad diets. They don’t work and usually end up doing more harm than good. To lose weight you need to start eating a healthy diet and get some exercise in at least 3 times a week. If you feel your weight gain is due to an illness or other medical condition be sure to speak with your doctor. They will be able to test you to see what’s going on. If there is a problem they will be able to treat it and get you moving towards your weight loss goals. Fact – All fat jokes, attitudes, looks, snickers and laughs hurt. Most overweight people know when people are making fun of them or looking down at them because of their weight. Unfortunately, in the United States we worship thin, and beach body babes and anorexic models are considered “hot” and the “thin” criteria seems to be getting smaller and smaller each year. Children who are overweight can be the victims of relentless teasing at school, and for them it can be even more difficult because they lack the adult coping skills to deal with such bullying. Moreover, childhood teasing can spill into adulthood creating a person who lacks confident and self-esteem. The obese suffer from prejudice at work, school and in the world, and all of it hurts. The fact that the obese often live socially unconnected lives because they are shut out of the typical socials scenarios that “hot” people enjoy, is hurtful enough, but, people’s prejudices and attitudes, jokes and laughs just add insult to injury. Fact – NOT ALWAYS TRUE! While some kids do lose their baby fat, as children grow any weight problems need to be addressed with a qualified medical professional to ascertain the individual situation. This is critical as 16.9% of US kids are obese and more than 35% are overweight or obese. These numbers are staggering since they were almost non-existent back in the 1960s. Parents need to address obesity in their kids and take all the necessary steps to prevent it. Obesity in kids is rising and the health effects can be disastrous, including, Type 2 Diabetes, with already more than 3,600 kids being diagnosed each year, along with heart disease, hypertension and others.